The big yellow store merges fashion and culture for a new in-store series. Do you remember back in 2002 when Selfridges went all Bollywood for a spring? Or that time punk took over and you could legit buy vinyl – courtesy of a Rough Trade pop-up – from the basement? The big yellow store fancies itself as a bit of a theme queen, huh? Well for 2016 the powers that be have tapped the contemporary fashion and music scenes and merged them with Shakespeare: they’re calling the two strands Shakespeare reFASHIONed and Shakespeare reCITED, respectively. 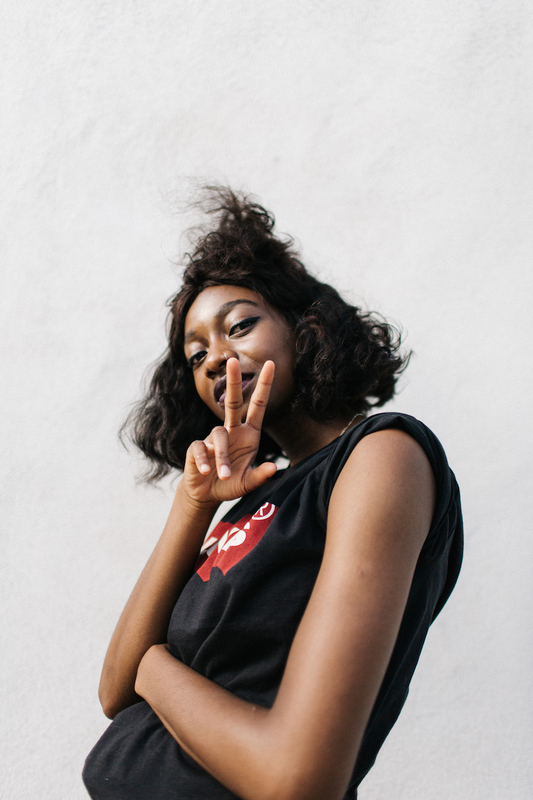 We first heard a subtle hint about the project back when Clash met Caitlin Price – “I’ve been working with Little Simz on a very exciting project for Selfridges,” she told us in May (here): and now the full shebang is ready to go. Elsewhere on the line-up Astrid Andersen is working with Krept & Konan, while Life’s A Beach x Rejjie Snow also features, New Future London will partner Novelist, and Liam Hodges x James Massiah x DJ Maximum BBK x Preditah intros proceedings. Invited to translate the iconic wordsmith’s poetry, wordplay and lyricism via their own unique tongue, a series of in-store events (read: gigs, poetry recitals and more) will play out across the summer and into September, kicking off on 7th July, the loose aim of it all to begin a new dialogue for 2016. As well as the IRL experiences, the project comes accompanied by a number of sartorial pieces, or specially commissioned ‘tour merchandise’ if you will, the bulk of which features long sleeve tees and hoodies; money from each goes to a selection of charities chosen by the respective artists. One of the most hyped photographic duos about right now – and for good reason, having cast their lens over Kanye, Wiz, Skepta and the rest – Places + Faces will drop an exclusive zine for the project, with a copy printed for every attendee; their imagery, above, also fronts the campaign.